Diabetic neuropathies—the problems caused by the damage diabetes does to nerves—eventually cause pain in 60 to 70% of people with diabetes. There are plenty of traditional medical treatments and prescription medications available for treating neuropathy and diabetic pain. Many of the medications are effective, but come with annoying side effects. 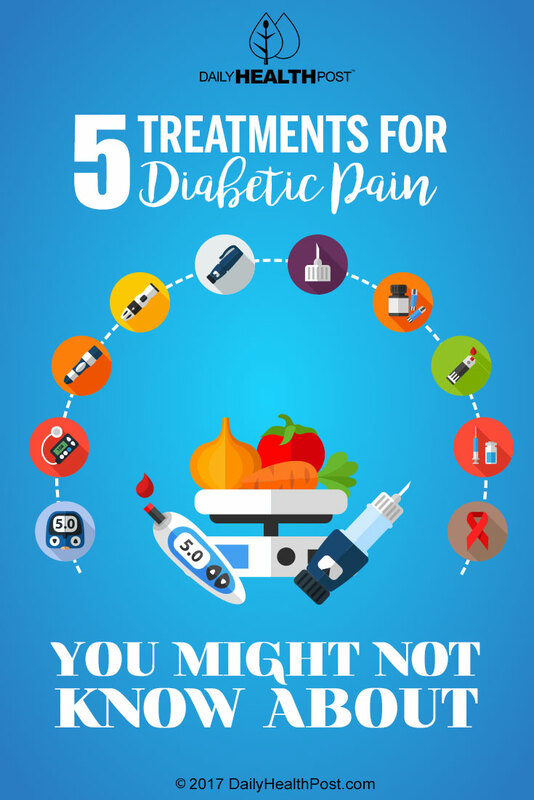 Researchers are looking into natural cures, herbal remedies, folk medicine, and even some new technological advancements as ways of safely curing diabetic pain without prescription medication. Have a look at these effective pain solutions. Capsaicin is the component of peppers that make them taste “spicy.” It’s also a well-known cure for the symptoms of painful diabetic neuropathy. One study published in Advances in Therapy details the use of two different types of pain relievers for people with diabetes-related pain. One group of study participants were given oral amitriptyline—a standard medical prescription for neuropathy. The other group applied capsaicin topically. Capsaicin is a powerful anti-inflammatory that can treat a number of disorders and diseases, including many of the root causes of diabetes. If you aren’t already making it a part of your diet, you need to consider it. Even if you don’t like spicy foods, topical creams are available that can quickly relieve pain.